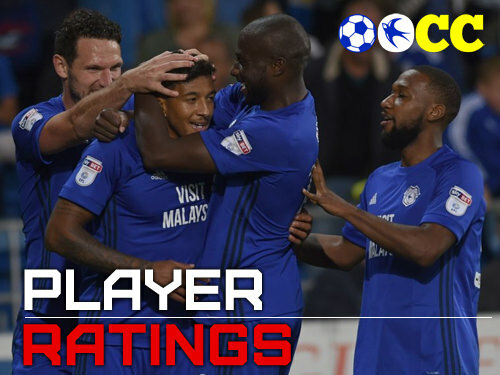 Discussion in 'Cardiff City Forum' started by TroggBlue, 9 Feb 2019. Well well well OOCC’ers What. A. Game. Here are tonight’s player ratings! Neil Etheridge - 6 - This rating may be harsh but his kicking was piss poor today but handling was quality as usual. Lee Peltier - 8 - Unbelievably consistent today with his tackles, a great performance from our Pelts. BEC - 9 - Very solid, can't fault him today, timed everything to absolute perfection. Sol Bamba - 10 - What can I say, week in, week out Sol gives everything and that celebration for both goals tells me he will continue you give everything for the rest of the season. Joe Bennett - 8 - Flew into tackles today and did well going forward, solid. Aron Gunnarsson - 7 - Physical in the ball but lacks quality in his passing. Callum Paterson - 8 - Everyone talking about Bamba’s goal but remember that wouldn’t have happened without Pato excelling over everyone, fantastic today. Joe Ralls - 8 - He’s followed on from his fantastic performance against Bournemouth and got physical and down to do the job he needed to do. Harry Arter - 9 - Looked fresh from his break and deserves credit, he run his legs off for us today fair play. Bobby Reid - 6 - Surprised he didn’t make much of an impact but like Arter he ran his heart out. Oumar Niasse - 8 - (I remembered him this week ) I think I finally see that he’s the type of player that just tries to cause havoc across the opposition back line and not a technical player, which is fine and he did his job well. Kenneth Zohore - 9 - Ah ya fookin beauty, Ken got stuck in from the word “go” and got physical during the +5 added time and a calm taken goal that’s made my weekend! Leandro Bacuna - 8 - What a player, he fits great into the squad and is great impact sub who may have a future start on his hands. Victor Camarasa - 7 - El Topo Shelfo didn’t get much of the ball today but was so calm on the ball when the game was screaming out for a player to do exactly that, a nice setup too. Well that’s it everyone, what a game, what a day!! Please feel free to get involved and give feedback to my ratings and of course give you’re own ratings! Not with Mrs R he won't! Paterson instrumental in both goals today. I thought he was really good today, done a job both ends of the pitch. When he jumped up to header for Bamba’s goal he was about six feet higher then the defenders! Bacuna looked really neat when he came has more composure then Gunnarsson on the ball and has a got a good shot in him as proven in the past when he was with Villa he could be an absolute bargain signing and masterstroke deadline day signing. Been critical of Ralls all season but his performances at Arsenal and Southampton have been immense. Peltier...didn’t look out of place at this level. Let’s be fair they were all bloody brilliant!